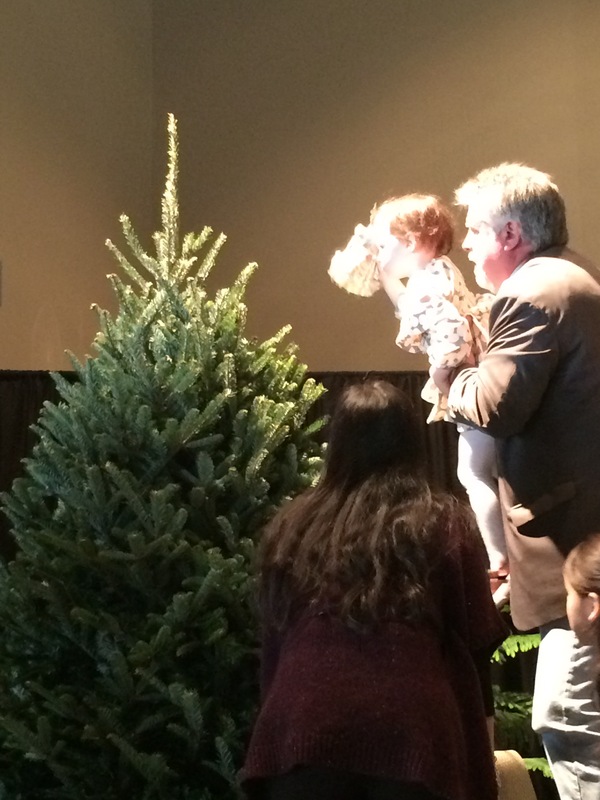 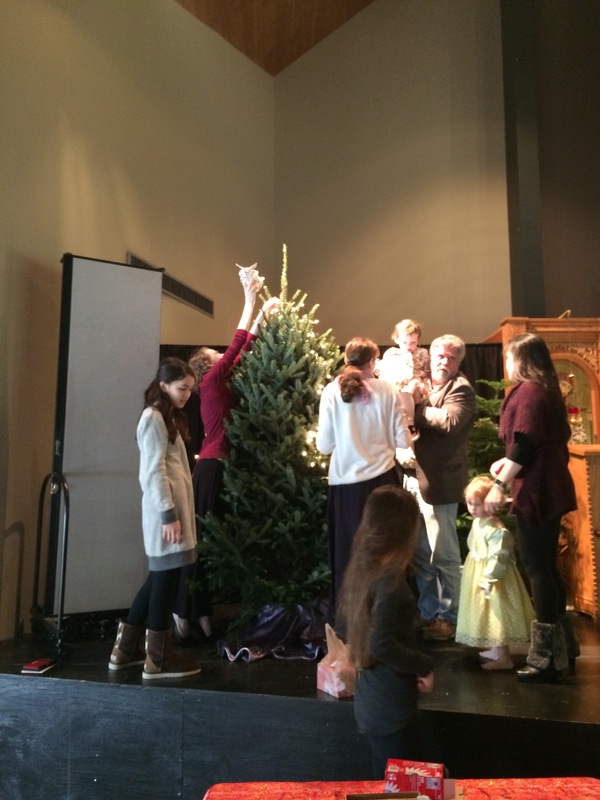 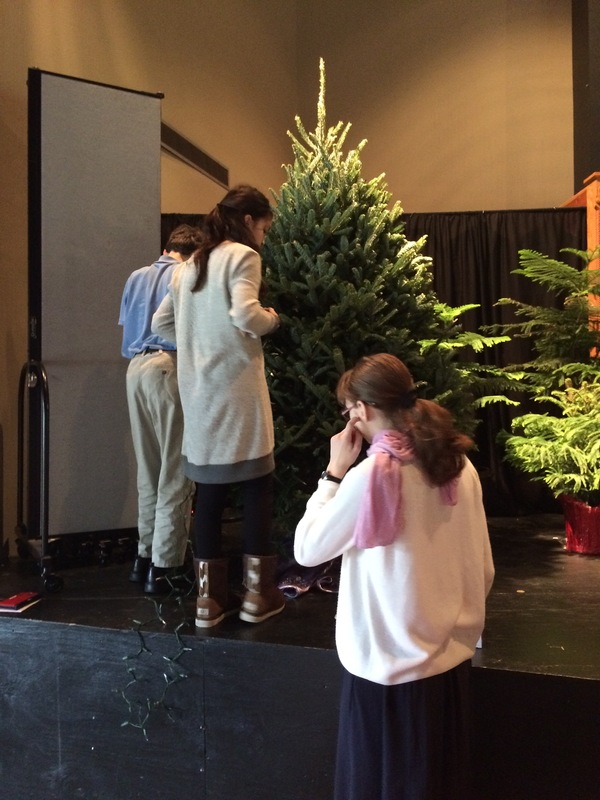 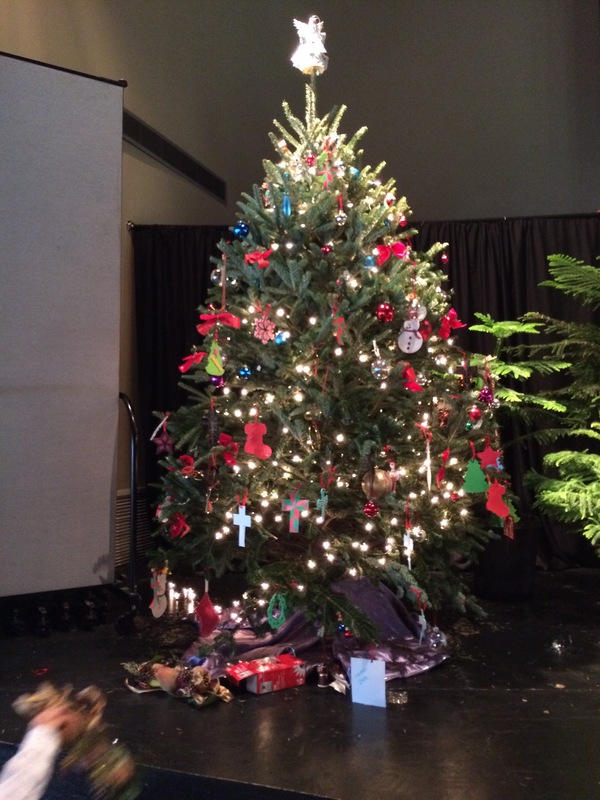 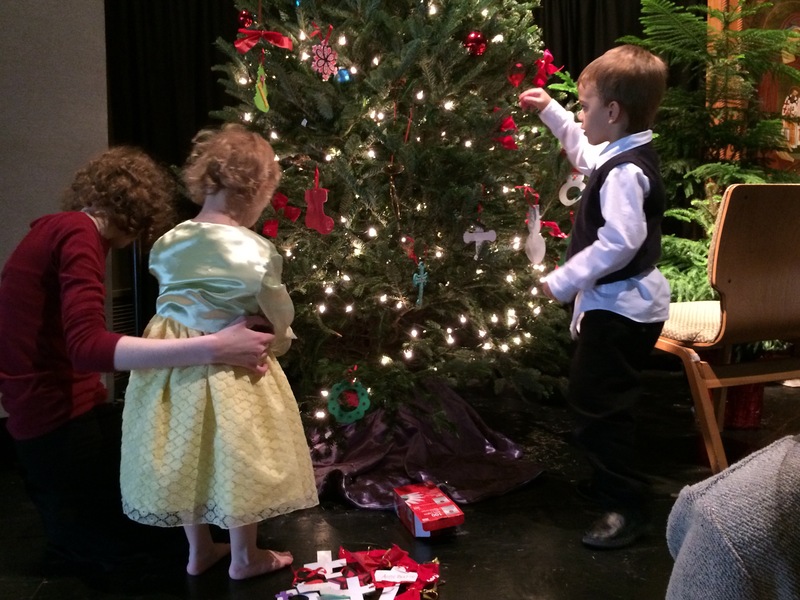 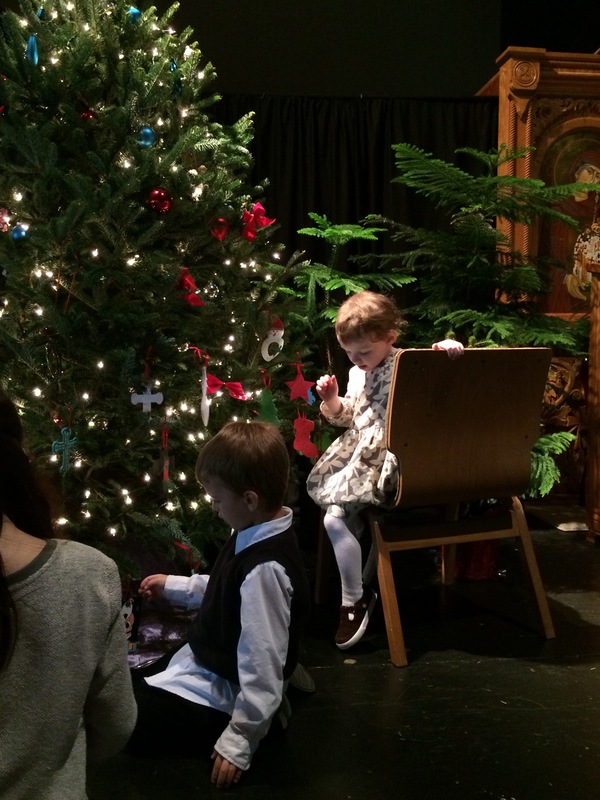 Last Sunday after coffee hour the children decorated the parish Christmas tree. 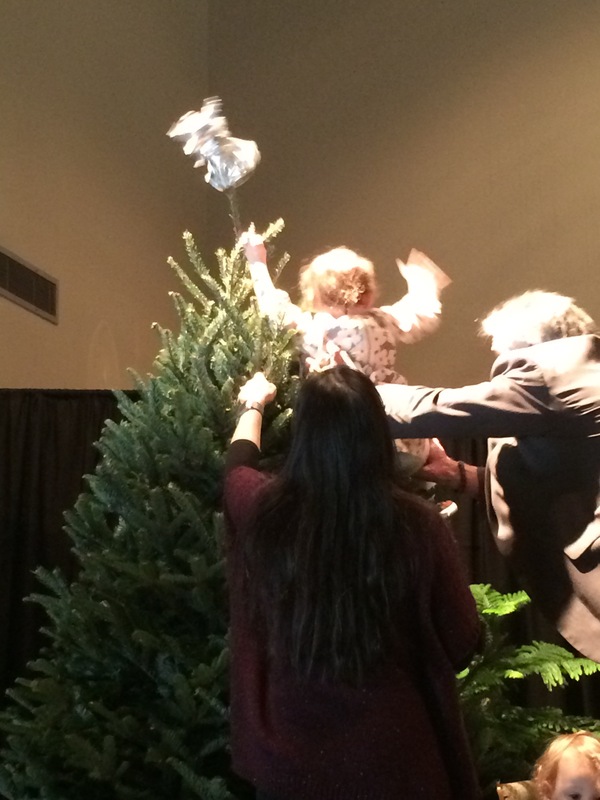 Our Miss Moppet was chosen to put the angel on the top. 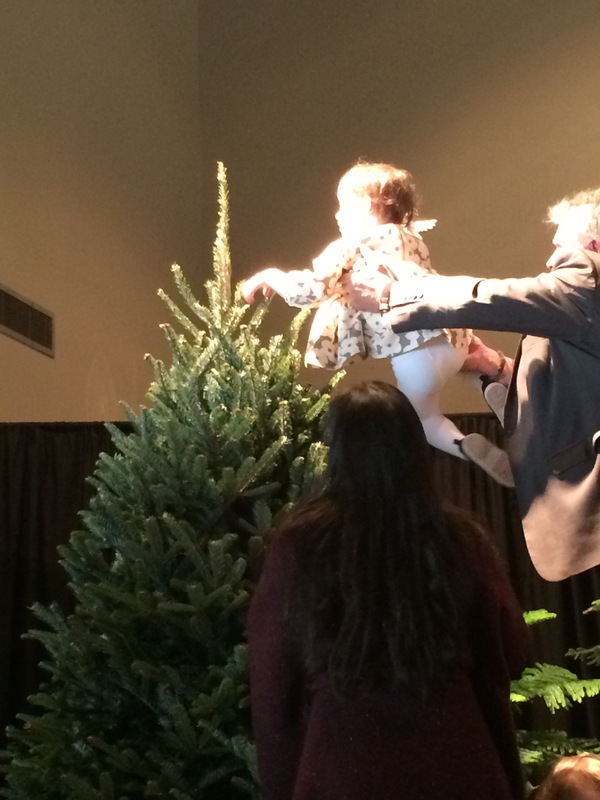 It wasn’t easy for Ken to hoist her up there, and the angel almost took flight, but they managed it in the end.